1. Learn about aero-logistics, how a wing gives lift and the importance of ‘CG’. 2. Learn about the different control surfaces on a fixed wing aircraft. a) A hand-launched glider must fly for over 10 seconds. b) A rubber-powered aircraft must fly for over 15 seconds. c) A flat and level flight with a smooth landing. 4. Fly an RC model drone or helicopter to a flight path designed by a mentor. 5. Talk about the experience of building and flying your model and flying an RC model with a knowledgeable adult. Presentation of aeronautical design and how different elements affect flight, followed by a short video of flight logistics, then a Q&A session to gauge the understanding of those taking part. Finishing with some ‘hands-on’ entertaining paper-plane activity which will also identify understanding of flight design. Design, cut and build a basic fixed wing model aircraft using modern build materials. The process will test understanding of flight logistics to result in a model that will fly. Note that 25 seconds flight time is probably not realistic at this stage and specification. Test flight of model(s) and record performance followed by tuition of RC flying a small indoor model quadcopter (drone) or helicopter. 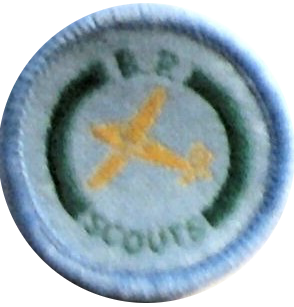 Evaluation of previous sessions, RC flying exam and award presentation.